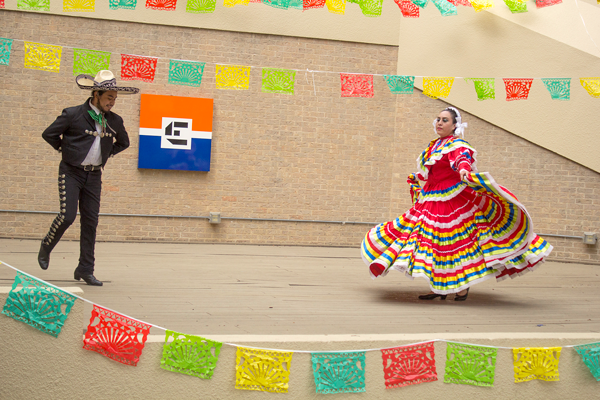 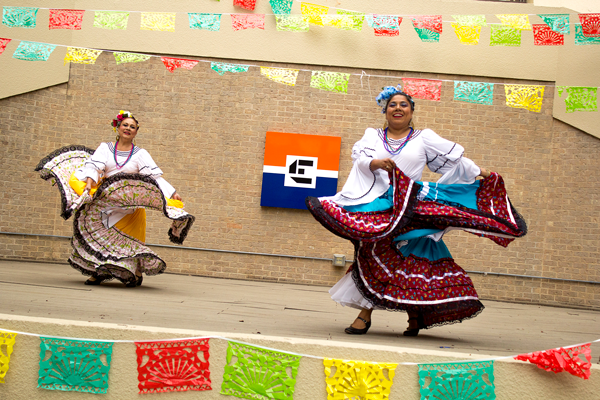 Eastfield College kicked off Hispanic heritage month with a Frida Kahlo themed Fun Friday event in the lower courtyard. 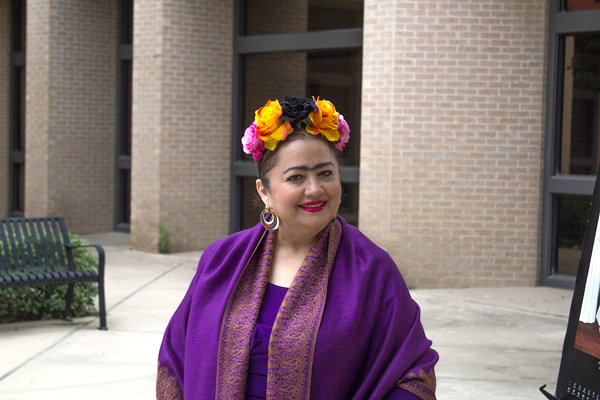 People went dressed as Kahlo, and were able to dance, make paper flowers, and try printmaking. 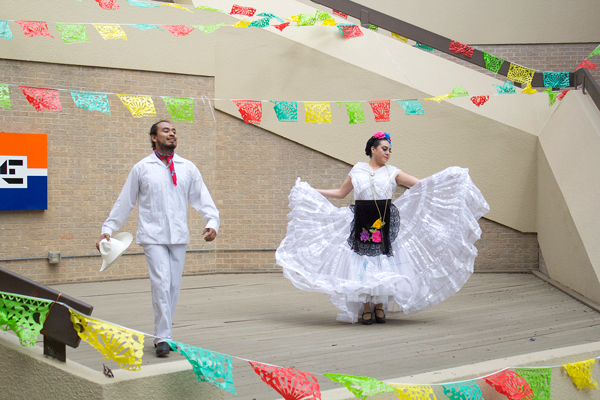 The event included a ballet folklorico performance, and there was horchata, elotes, and popcorn.